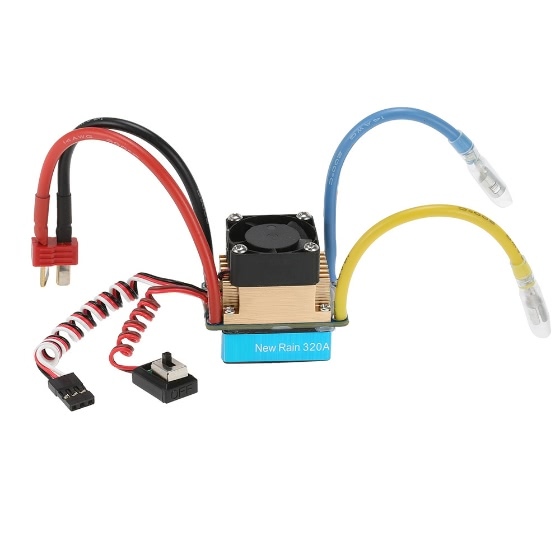 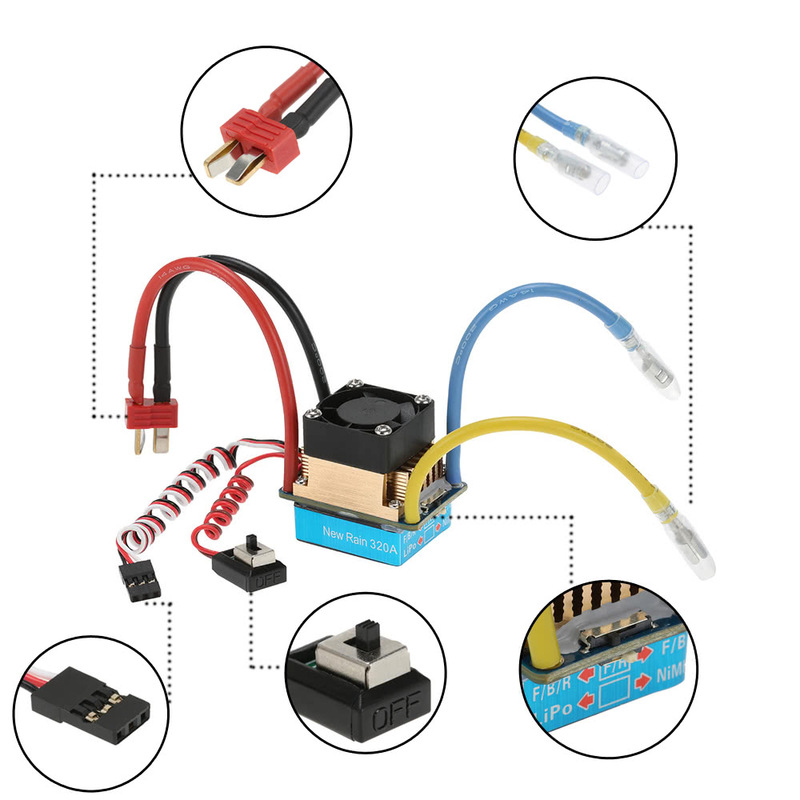 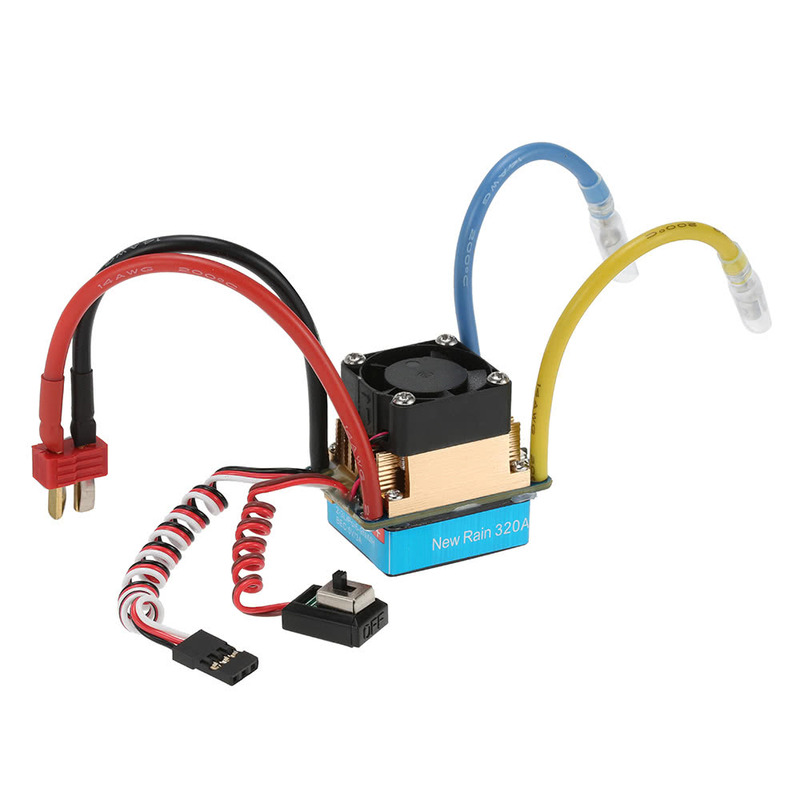 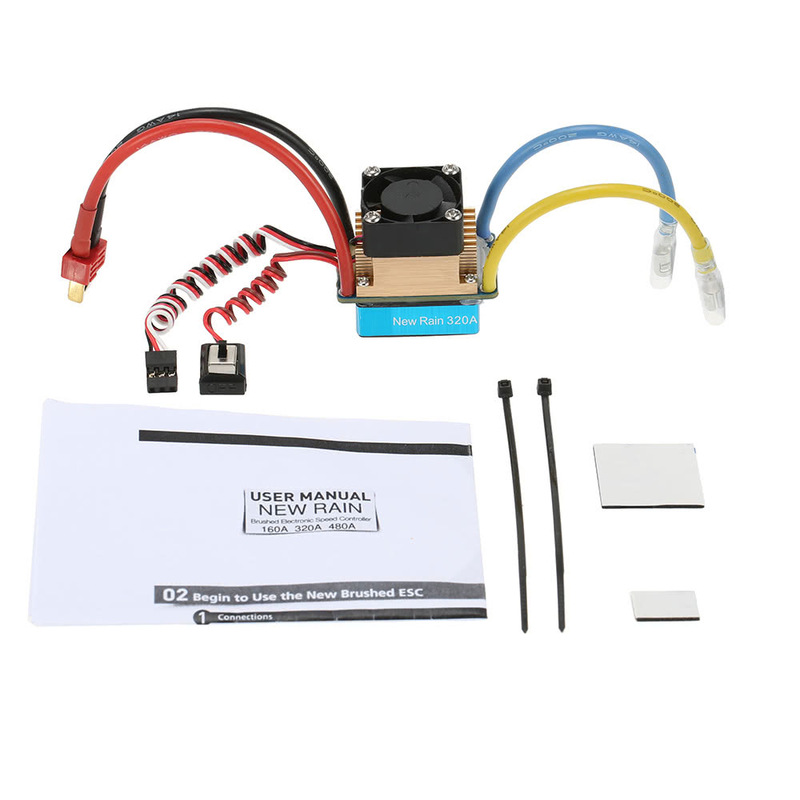 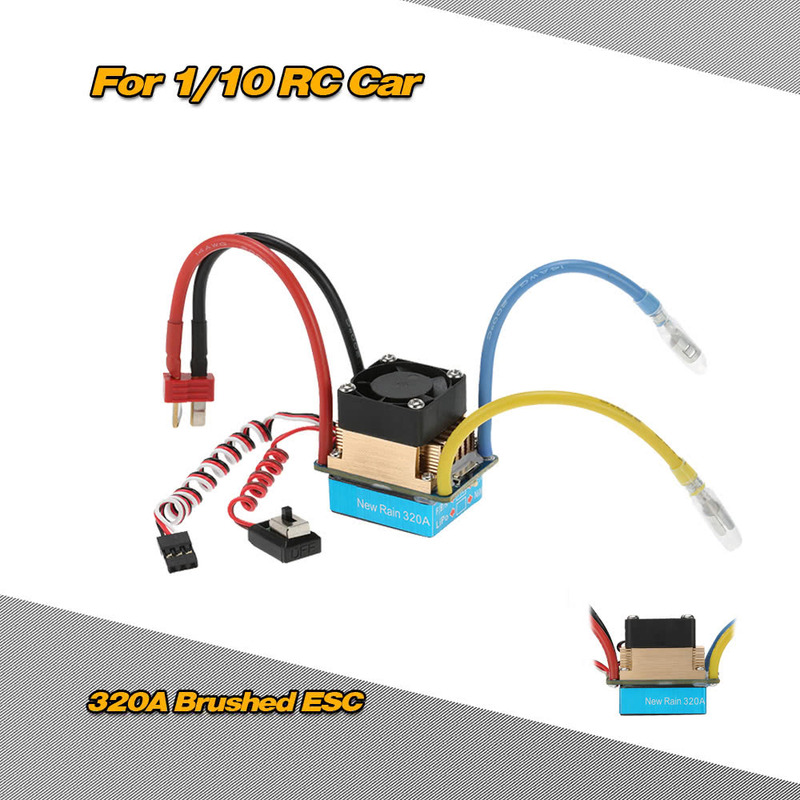 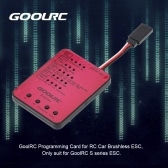 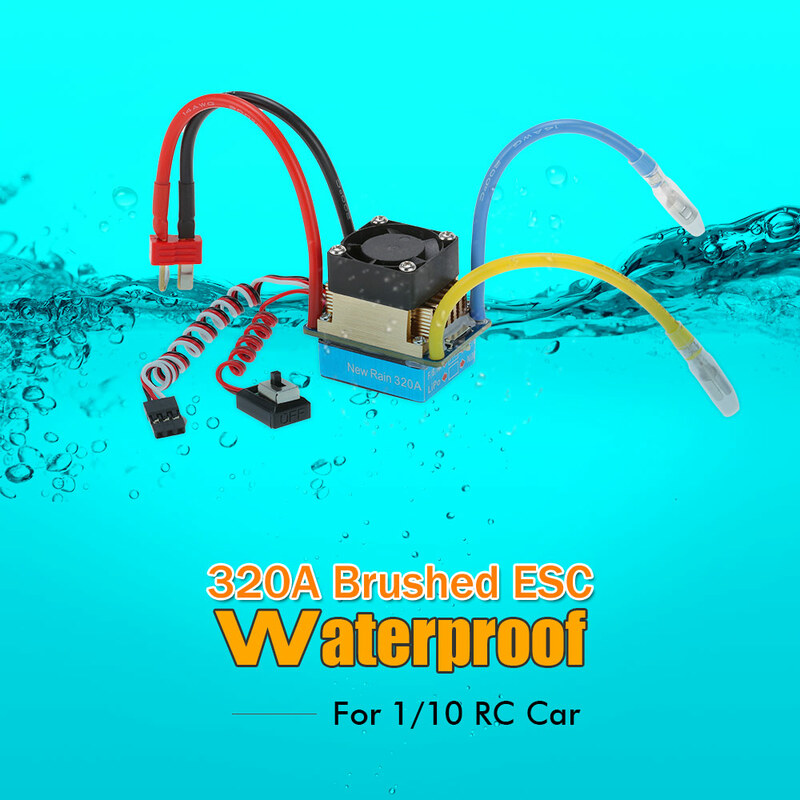 Waterproof 320A Brushed ESC Electronic Speed Controller with 5V/3A BEC for 1/10 RC Car. 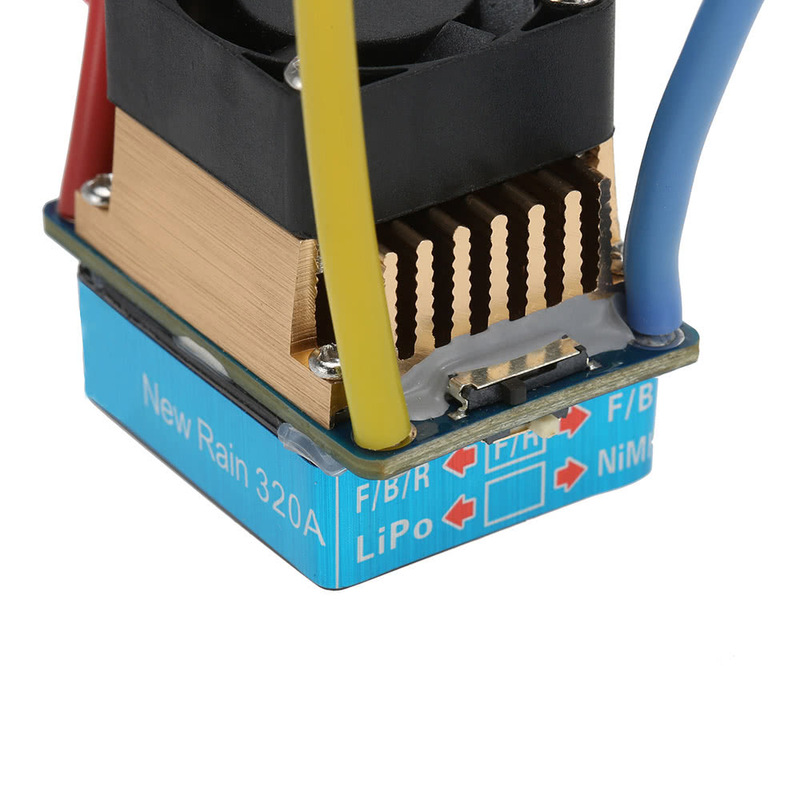 Small size with build-in capacitor module. 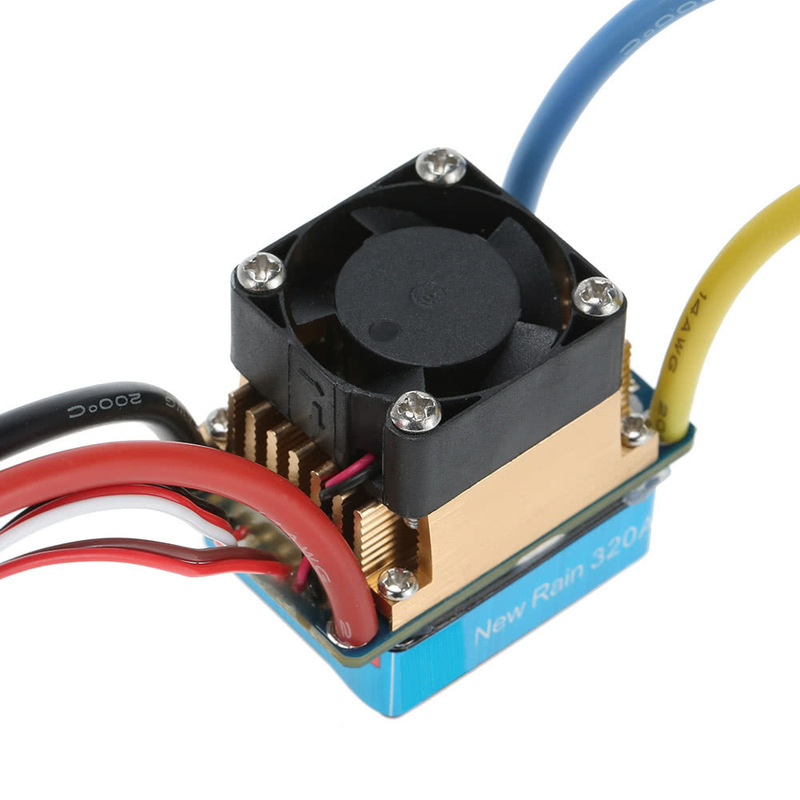 Easy to set the ESC parameters with switch. 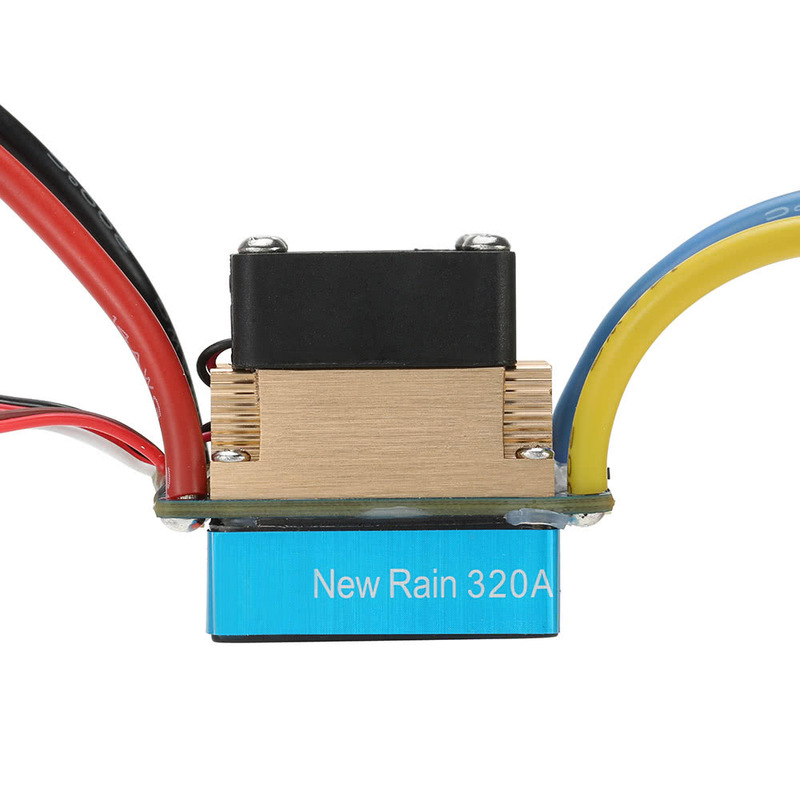 Fully waterproof and dustproof, suit for all-weather condition. 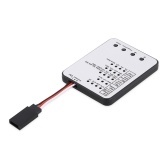 Automatic throttle range calibration, easy to use, especially for the novice. 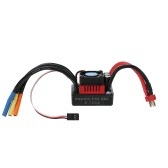 With low voltage cutoff protection, over heat protection, throttle signal loss protection. 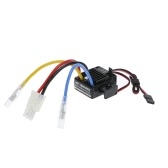 Three running modes: F/B, F/R and F/R/B, fits for various vehicles (F=forward, B=brake, R=reverse). 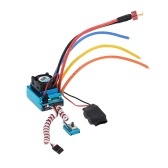 Awesome for a great price thank you! A+++++, fast shipping, great item, thank you, will buy again.